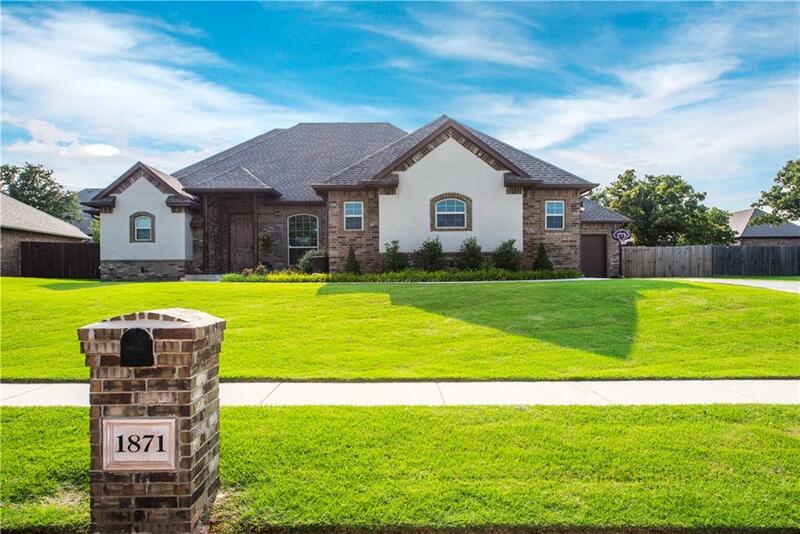 Well-Kept, Custom Home in Oasis Ranch has all that you've been looking for! Step inside to a welcoming entrance leading to the study and large open living/kitchen/dining area. You'll love the impressive lighting, fireplace and wood-look tile, crown molding and arched doorways this home offers. The kitchen has a unique breakfast bar island, pantry, gas stove, ample granite counter space and cabinets. Master suite has lots of storage plus a walk-in closet, large shower with rainfall glass door and whirlpool tub. Spacious master bedroom has access to covered patio. An inviting backyard paradise has an above ground pool, wood deck and privacy fencing. There is a dedicated laundry room PLUS a huge supply room with shelving. A dropzone room with bench/underneath storage leads to the side-entry double car garage. The single-car garage is insulated and provides space for a gym or workshop.